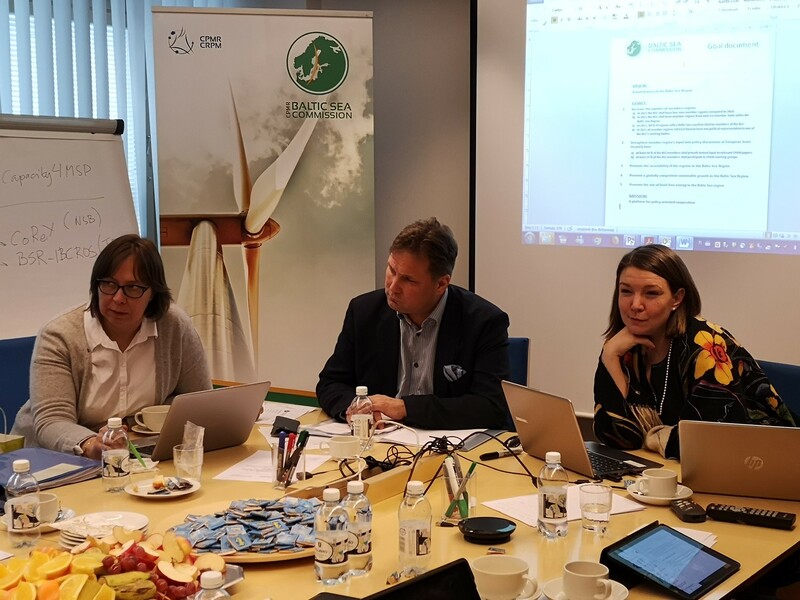 The Executive Committee of the CPMR Baltic Sea Commission met last week in Lahti, Finland, at the kind invitation of the Regional Council of Päijät-Häme. At the invitation of the Regional Council of Päijät-Häme, the Executive Committee of the Baltic Sea Commission met in Lahti (Finland) on 30 January 2019 to discuss strategic issues and the revision of the EUSBSR. The meeting included a keynote speech by Pekka Jounila, Coordinator for the EU Strategy for the Baltic Sea Region, DG REGIO and a presentation by Marko Mälly from the Regional Council of Päijät-Häme on international cooperation organisations of regional governments (CORGS) in the multi-level governance system of the Baltic Sea macro-region. Chaired by the President of the Baltic Sea Commission, Mr Jari Nahkanen, the Executive Committee meeting also provided the opportunity for discussions to be held on organisational matters and the prepare for the General Assembly of the Baltic Sea Commission. Laura Leppänen, Regional Mayor, Regional Council of Päijät-Häme, gave a welcome speech. She provided participants with background information on the city of Lahti and the region of Päijät-Häme, and gave an update on the current state of play in the regional reform currently taking place, which aims to make regions the strongest unit in Finland. BSC President Jari Nahkanen opened the Executive Committee, stressing to participants that 2019 is pivotal year for Europe. Participating regions provided an update from their own Region and organisation matters were addressed. There were updates on the recent work of the BSC Working Groups on Transport, Maritime Affairs and Renewable Energies, as well as projects with which the Baltic Sea Commission is associated. The meeting also offered the chance to discuss and start preparations for this year’s BSC General Assembly. The Executive Committee voted unanimously for this year’s event to be held in Gdansk, in the Region of Pomorskie, Poland, on 11 June 2019. Pekka Jounila, Coordinator for the EU Strategy for the Baltic Sea Region, DG Regio gave a keynote speech on the EUSBSR revision. He noted that the EUSBSR Action Plan to be revised in order to have a relevant action plan for the 2021-2027 period. He addressed how comprehensive a revision the Member States want to make, the need to agree on the future focus of the EUSBSR first and what the revision process will entail. He explained the timeline for the revision of the action plan which will have an open and transparent process. Finally, Members of the Executive Committee participated in the high-level conference on the Future of Europe the following day. Read more about this event: click here.